Getting one of the newest pieces of smart technology to your kid’s wrist makes more sense than you might think these days. Looks like every year something new that you can not get a grasp of appears, sadly is not only the technology or the new trends that appear new threats and reasons to worry about also come together, the right Kids GPS Watch can allow you to have an eye on your child’s location in real time, and even let them call for help in case of an emergency. 4.5 Do you want to use the tracker to locate your teenager’s car? Some people say that using a GPS tracker for kids is some kind of an intrusion or invasion of their privacy. More in cases when the kids are older or adolescents. But the reality is that more than thousands kids disappear every year or go missing and there’s no come back from that. And on those ages when they grow older they tend to go to places by themselves sometimes even without letting parents now; others go missing from they parents sight in public places like crowded events. A Smart GPS watch for kids can keep us away from this type of frightening moments. These type of trackers enable the parents to know the exact location of their kids on virtual maps with just a click. That’s why we believe that is one of the great things of this new era, it makes sense taking advantage of the new technology to ensure our kid’s protection. For those kids that like to become more independent or love to explore new areas this also presents an opportunity, they can gain more independence than before with these wearable trackers. Something to understand though is that the idea isn’t for you to stalk your kid, instead is to be sure that they’re provided with a tool for absolute safety at any given time. The smartwatch arena is going forward quickly, they are improving every few months with features and different modalities that apply to different necessities. That’s why we’ve put together a list of some of the most modern GPS watch for kids on the market. Each of these gadgets that we choose comes with a range of the latest software and features that make it well worth considering for 2018. In the past, it was a common thing to let your kids free roam of the neighborhood without your supervision. Normally kids will come back for the dinner time tired and ready to eat. The world isn’t so forgiving anymore, at least it sure doesn’t seem to be. The nightmares about children going missing or being involved in some kind of accident become a frightening reality so as a parent, you can never be too safe with your kids. That’s why we’re going to review some of the best GPS tracking watches for kids. The wireless from Verizon is here, the GizmoPal 2 LG is an update from the original tracker for kids. By having this tracker on your kid’s wrist, you can open and use the app at any moment and be sure of your children whereabouts thanks to built-in Wi-FI and GPS. You Can also schedule reminders for different locations throughout the day, and set “safe” Zones around your home and their school. After you set the safe Zones with the GPS tracker you will receive a notification at the moment your children go outside the limited boundaries, which is great for when the children are playing outside by themselves. In terms of design, The GizmoPal 2 uses the body of its big brother, the GizmoGadget. That’s why it looks bigger and feels heavier than the original GizmoPal and the reality is that most of the face is wasted space. You can remove the GizmoPal’s body from its band to switch between red, green, purple, pink and blue options, but the body module doesn’t work if it isn’t snapped into one of the bands. Introducing the FiLIP 2 this is not your regular tracker, is a wearable phone and GPS solution for children. Presenting new features and impressive updates. Parents can make a call to their kids just by dialing to the device, and even send texts to their children. Although the gadget does not have the ability to send messages back. 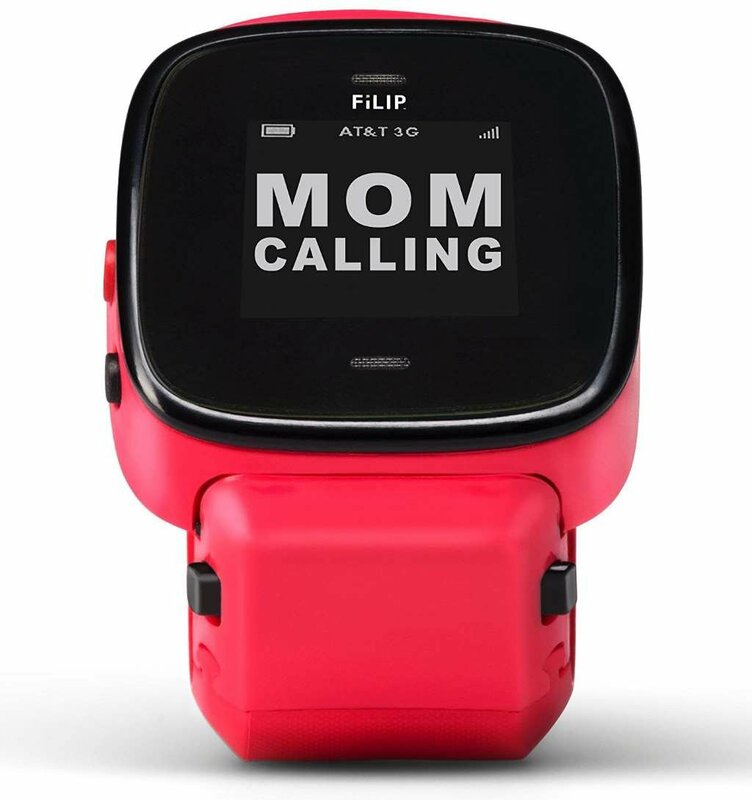 Among the newest features, the FiLIP 2 has an emergency one that provides a small button that the kids can press to activate the “emergency mode”. After the mode is activated, the watch will call to the kid’s primary contact, and in case it doesn’t get an answer will continue to scroll down through the emergency contacts list until it gets an answer. Once the call is on the entire conversation will be fully recorded and an immediate update will be sent to you with your kid’s location. They must press and hold the button for a total of 4 seconds, so it’s unlikely for them to activate the mode by accident. The designated safe zones feature is also available so you can preprogram the areas that are safe for your kids to be on and the times as well that is proper for them to be there such as the daycare center or school. The tracker will dens an alert any time the kid enters or exits a safe zone. The FiLIP 2 comes in red, and the body is resistant to both water and dust for extra durability. GEOfencing, 1-way text messaging etc. 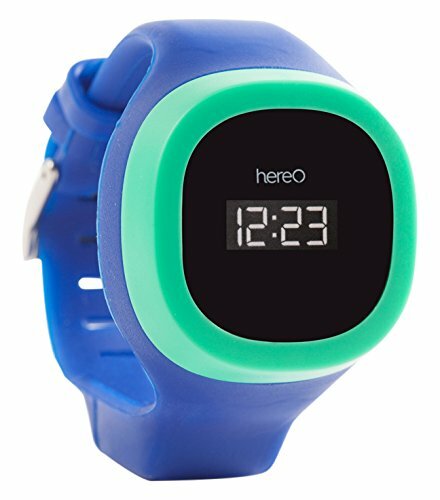 Probably between the most Gps looking watches out there the HereO on a first look seems a pretty regular watch for kids. However, is one of the most strongest Gps available you can have a direct track of your child’s location at least for 72 Hours straight by using the GPS. Once you put the device on your kid’s wrist, you can keep track of their exact location until the gadget runs out of battery juice. The HereO also has a wide range of designs created just for kids and it doesn’t look too techy either, so predators or smugglers won’t be tempted to steal it. A great feature that the watch has is the in the case that someone tries to remove it, the watch will activate an alert even if it’s just the kid trying to pull the watch off their wrist. This alert includes the latest GPS technology and will record on the device the exact time when it was removed. An additional panic alert will send automatically the location data to a group of family or friends in the event of an emergency. 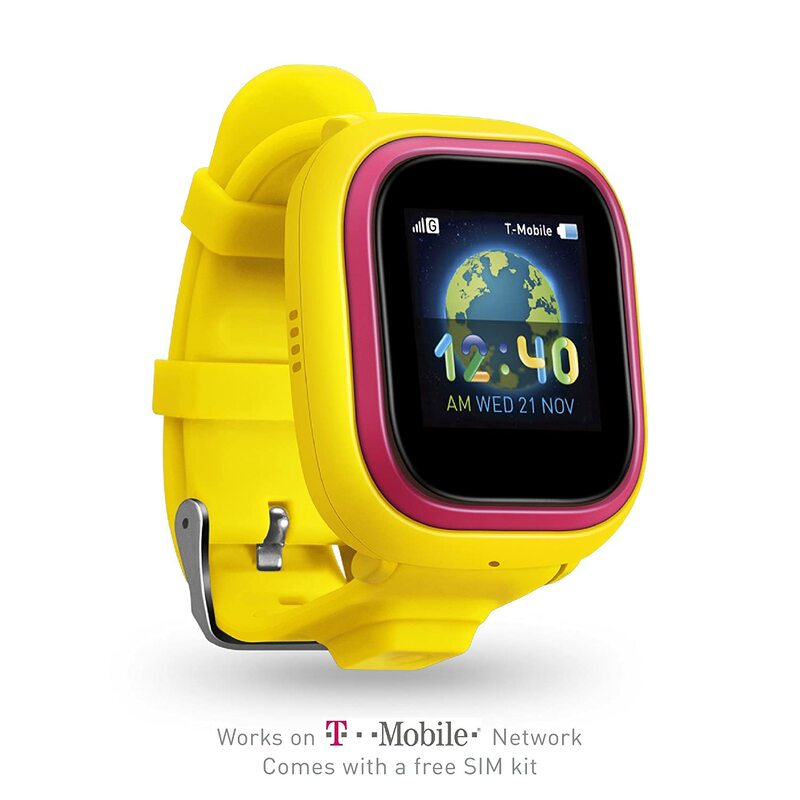 The new TickTalk2 is another wearable phone and GPS for kids between 4 and 12 years old. The greatest thing about it is that can work by itself without the need of connecting the gadget to any other mobile devices. 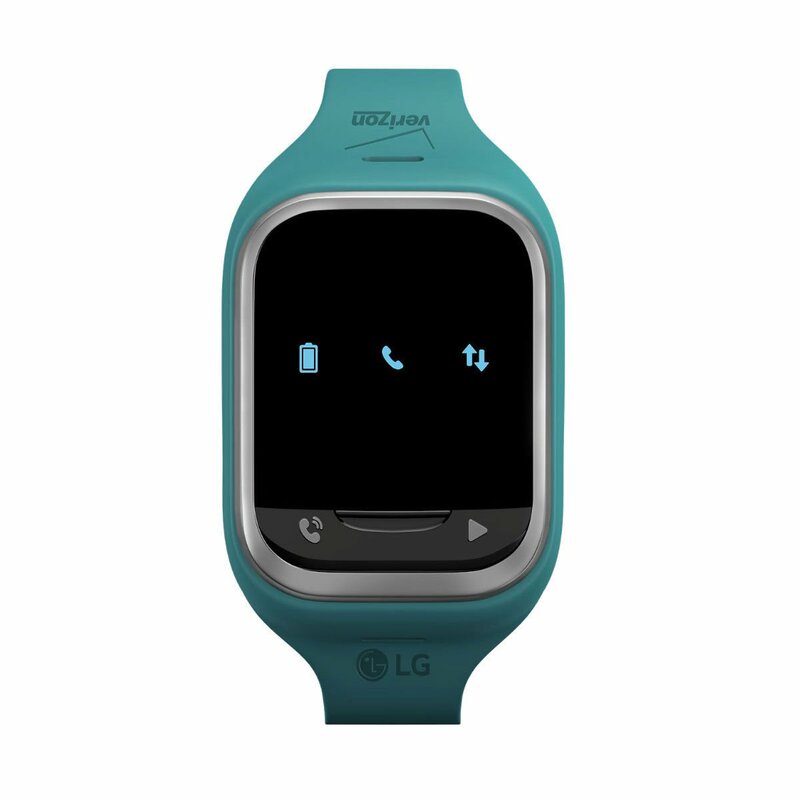 The kids can make or receive a call just by clicking the icon on the watch interface. This tracker makes possible some many things besides the ability of the calls you can also send voice or text messages and what is even greater you can hear what is going on around them! TickTalk’s offers a free app that allows you to know your kid’s location, so you have all the information about where they are and what is happening around them. The TickTalk 2 comes with the latest technology available features a super user-friendly App, in addition to the amazing new features and functions. It has the ability to add and track several smartwatches under the same account manager. It also comes with the Thing To Do modality that is a reminder that creates a routine that helps to educate your kid’s good habits as well learn time management. Form the beginning of 2014 the TickTalk project start. With the help of a development and research team that consists of various well-known mobile phone manufacturers in China that have more than ten years of experience with development, design, and manufacturing with cell phones and smart-gadgets. Things to do – Up to 50 Things To Do Reminders, help parents create routines and tasks for your child. Phone calls – Two-way communication between your phone and the TickTalk. Up to 13 Contacts. WiFi + GPS + LBS 3-way locators to provide the accurate location information for indoors and outdoors. Works with all iPhones and Android cell phones. The TickTalk comes with a free SpeedTalk SIM Card, no contract, it runs on T-mobile’s network. Follow the Sim Card Activation Instruction to activate the Sim and you need to credit the SIM card before using. We suggest the $9 monthly plan. The DokiWatch made his humbling beginnings on a Kickstarter campaign and after a successful crowdfunding, the smartwatch made his place in the GPS tracker for kids world. This Hybrid tracker is at the same time a smartwatch, a security device, a fitness tracker, and a GPS tracker all together in the same pack. The DokiWatch is one of our favorites tracker for kids if well has all the features that you can expect from any big brand for smartwatches, it has one feature that makes it extra special and is the video calling support. Obviously comes with the cell phone and messaging support, just like a smartphone, but it also provides the two-way video calling feature that is made via the companion app. You don’t just get to hear your children when they’re away, you can see them as well!. With regard to children’s security, it comes with contact additions options, SOS Button for an emergency, GPS tracking, and Geofencing as well. Although is a little pricey, for a gadget for young children. To use the phone features you will need a SIM card, the tracker will come unlocked with support for any type of 3G mobile networks. To activate the tracker just put a micro SIM card and sign-up for voice and data service through your wireless provider. All GSM and WCDMA networks are supported jus like Verizon, Sprint, T-Mobile, just to name a few. Some cool feature for kids is that the tracker comes with a virtual pet just like the old and loved Tamagotchi. The gadget also has different games, stickers, and tons of customization options. But that’s not all the DokiWatch also comes with fitness and activity tracking modes too! Pay attention to the GPS limitations. You need to check for the SIM functionalities in case the gadget is SIM-enabled and comes with an active subscription that means that can be tracked anywhere in the world. However, if the tracker does not have the ability to connect to mobile networks, the range for the tracker and GPS functions is going to be severely limited. After our test, we realized that sees to be no entire “tamper-proof” models available. The majority of this types of trackers come with a silicone band that can be easily removed. Some of the trackers that we talk about before ( like the HereO) come with an alert that will let you know if the kid (or someone else) tries to remove it, but there’s nothing that can totally stop them from doing so. Identify the features you will need the most, as of which are most important to you and your family and go from there. Some devices sacrifice features to make room for others. For example, if you want to track your child’s location no matter where they are, without fear of range limits, you’ll need to pony up the cash for a wireless subscription. In this case, that might mean your budget will suffer more than expected. iOS and Android are the most common smartphones supported when it comes to companions apps. If you have another type of phone – or an out of date model – you might want to consider an upgrade. A “water resistant” rating rarely means waterproof. In most cases, it’s not safe to submerge water-resistant devices, nor is it safe to go swimming, take a bath, or get in the shower with them. Be responsible. An overwhelming majority of these devices are crowdfunded through platforms like Kickstarter or IndieGoGo. This means, people have the opportunity to financially back and support a project before it’s commercially available. For whatever reason, sometimes these projects fail and the devices are not released. We do our best to keep you updated, but just be aware of this. When you are on the search for a GPS watch for kids you are on the need a something that can help you get rid of the stress of having the kids doing their own life without a parent watching them. You need something that helps you to know always that your kid is safe. Once you get a GPS tracker for your kid you and your children are going to feel safer. But when the tracker comes with an SOS Button you can be assured that if anything happens he is going to be able to get in touch with you in just seconds, Trackers such as the DokiWatch and the FiLIP 2 tracking watch for kids come with this feature. As soon as your kid needs help or doesn’t feel okay, it simply pushes the button and gets directly in touch with you or one of the other guardian numbers stored. How easy can a children tracker be? Of course, you want the GPS tracker for kids being able to send you the location of your children on a map. This way you need to just send a text message to the GPS tracking device for kids and your child’s whereabouts will be sent to you. Then click through and watch your kid’s location on a map. All the tracking watches that we talk about have this feature and some of them even offer real time tracking so you can track your kid at any time. Some of the trackers for kids will include a lot of extra features and it could be great but before to jump in a smartwatch for your kids think twice about what features are actually useful for your kid and your needs. When the smartwatches come with tons of extra features that means that the watch is going to be losing battery juice quickly. So at the end of the day, the best GPS watch for kids is the one that tracks your children without any problems besides that the fancy features should come second in your decision making. Is your child between age 2 and 6? Then you may consider a tracking device for a small child. Tracking bracelets for kids come without GPS since small kids don’t go far alone and can be tracked with a system without GPS. Check our page about trackers for kids if you want more information. Do you want to use the tracker to locate your teenager’s car? When your kid grows older they start to use the car. Let’s be honest when this start to happen is a new worry for parents. Will my kid be safe? Are they going to where they told me? How do I find my teenager and the car when something happens and I don’t hear from my child anymore. If this is the case, you re better with a portable kids GPS which can be used as personal GPS device or as a car tracker. As you can see GPS tracking devices for kids have lots of different functions that make it easy to track your kid. And in reality, there’s more than one reason for the need of tracking your children’s. Now it’s up to you to choose the best tracker with GPS for your Kids so you can be more comfortable each time they leave you. So whenever you are ready don’t forget to check this list to be sure which tracker is the one that fits your needs and your kid as well.